Vaughn Bentley graduated from DePaul University College of Law in May 2016, earning his Juris Doctorate, and LLM in Health Law. In a conversation with E-pulse, Vaughn shared his interests and favorite classes, experiences during law school, and provided advice for future health law students. Vaughn has had an incredible journey! 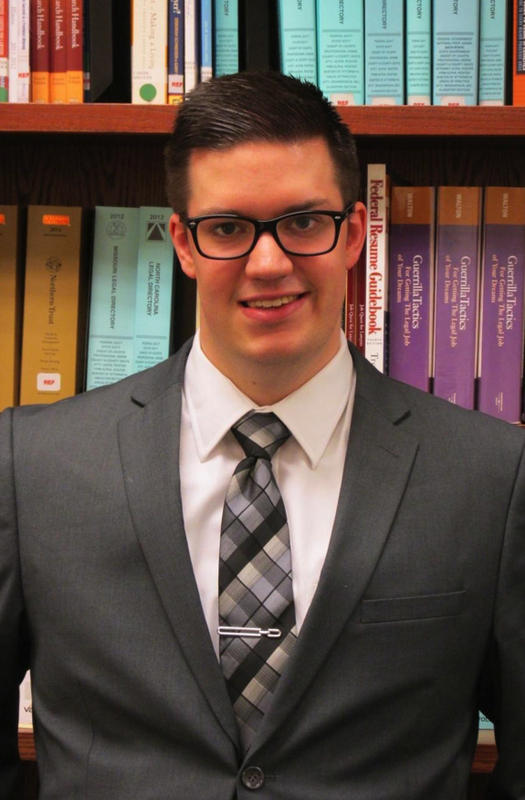 After graduating from State University of New York, College at Oswego (SUNY Oswego) with a BA in psychology, Vaughn stayed course and went directly to law school. He was always drawn to health law in part because he grew up being familiar with the industry. His mother works in a hospital as an X-ray technician, as did his father until he passed away when Vaughn was still very young. Even his grandmother was an X-ray technician. So, for Vaughn, it was apparent that he would either be an X-ray technician or go to law school. Vaughn’s favorite class was Fraud & Abuse with Professor Schostok. Looking back, Vaughn recalled that this class made him realize how much he loved working in the regulatory sector and gave him practical experience interpreting laws and doing research. Notably, his final paper for the class was eventually published, which is a great bonus for any law student! Vaughn’s focus has been on government regulation of healthcare, both at the federal and state level. Because he found this area so fascinating, he decided to write both his journal article and Master’s thesis on this topic. According to Vaughn, the DePaul Jaharis Health Law Institute has prepared him to practice health law by helping him make connections in the field and giving him the background to talk with them confidently. He says that he feels comfortable talking with practitioners about the future of healthcare and the various ways that new laws and cases affect the field. Vaughn’s advice for rising 1Ls and 2Ls is to keep an open mind when looking at your career options. He was convinced his 1L year that he wanted to be a transactional attorney, but he took a number of classes his 2L year that sparked his interest in administrative law much more than the contract law he had enjoyed during his 1L year. Because of that experience, he began to shift his focus to where it is now. Vaughn’s other bit of advice is not to compare yourself to other people in law school. He says everyone handles school differently, and what works for one person may not work for everyone else. Don’t be afraid to be your own trailblazer!